Set visibility options for each message - public, private, moderated - all under the control of your system admin. Gain fine-grained control over your forum. Choose from a wide selection of themes and color options. Keep on top of your forum operations with a variety of statistics and key operational metrics. Get started with just a few clicks after activating the plugin. 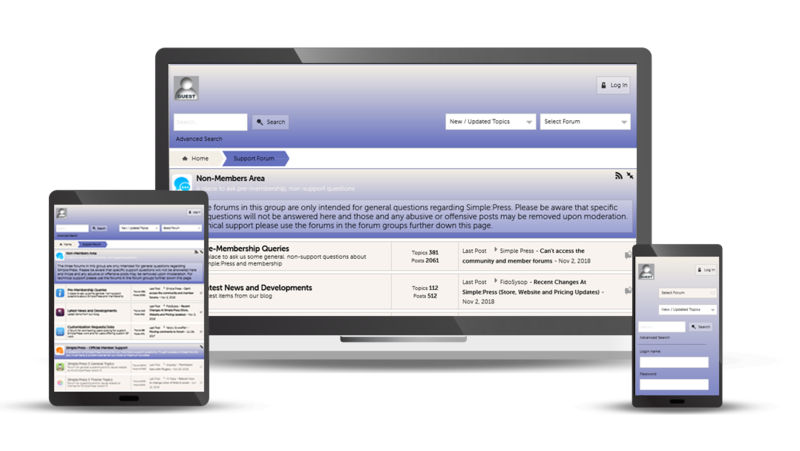 No limits on the number of forums, members or messages - even in the free version! Creates pretty/seo friendly permalinks and supports many common SEO plugins. The most feature rich WordPress Forums Plugin you can buy today! 12+ years of development has resulted in the most feature rich Forums Plugin for WordPress on the planet! Fully integrated into WordPress, everything can be managed from the WordPress dashboard. Fully optimized database tables means you can run a very responsive WordPress based forum on standard WordPress hosts. We have customers with dozens of forums, tens of thousands of users and more than 200,000 posts! Download the free version and install on your WordPress site today! Our Forums Routinely Handle 10,000+ users and 100,000+ Posts! Can your forum software do that? 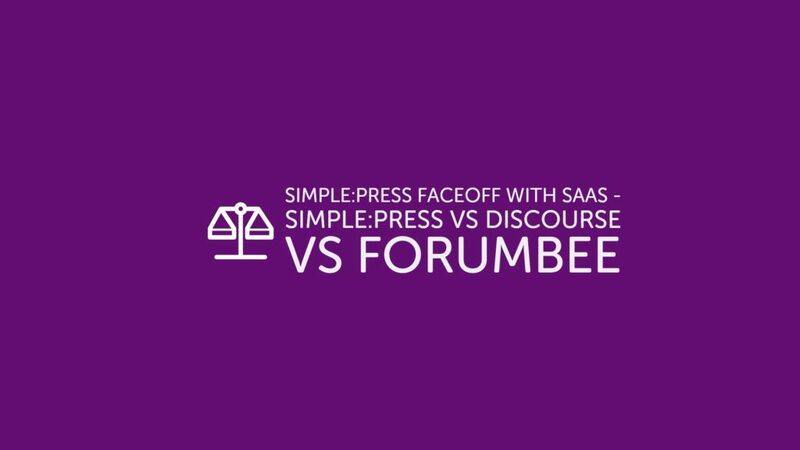 Compare three WordPress Forum Plugins: Simple:Press, wpForo and Asgaros. 3000+ words dives much deeper into these forum plugin options compared to your standard comparison review! 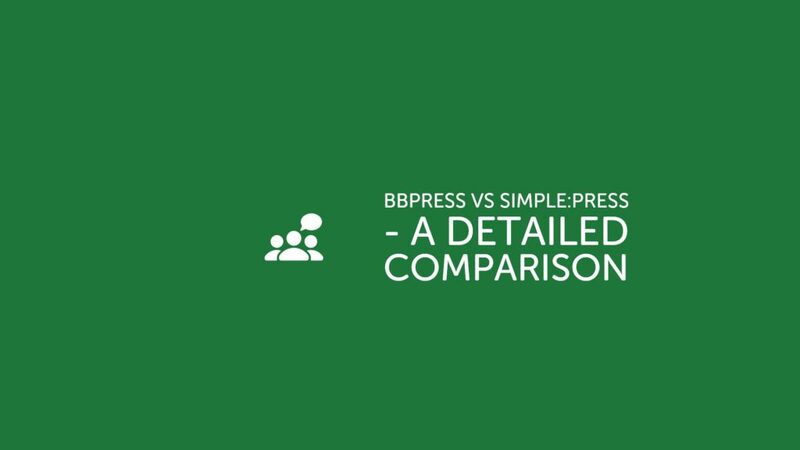 Support Simple:Press Without Spending A Dime! The core Simple:Press plugin is free and open-source with more than 10,000 lines of code and growing. Help us make it better by doing any or all of the following! This is probably the most important thing you can do for us without spending a dime! More reviews mean more installs which means more resources for development of the free plugin! We are currently running two surveys. Let others know how you're using Simple:Press by creating a post in our "Show Us Your Stuff" forum.